As far as new cars go, it’s tough to beat the new Honda Civic coupe, and there are plenty in stock for Salem drivers at Rockingham Honda. There are five different package levels to build your New Honda Civic Coupe. Between its turbocharged engine, ample space for passengers and cargo alike, and high-tech interior features, as well as its three distinct formats, it seems that the Civic Coupe offers a bit of everything. Pick out your favorite Civic Coupe configuration, and then contact Rockingham Honda for more information on how to finance the new Honda Civic Coupe! 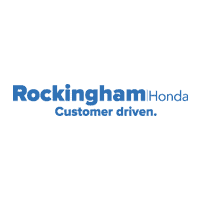 When you finance a new Honda Civic Coupe at Rockingham Honda, you’ll have access to a factory-certified Honda service center and access to a Salem car dealership that speaks Spanish. Contact our Haverhill dealership team to schedule a test drive in a new Honda Civic Coupe today.